My ten-month-old Chihuahua, Toby, has begun to mark his territory. He wets where I sit, on our chairs and in our bed. He even wets on the towels in the bathroom.We have just had him neutered to help the situation, but he is still doing it. He has lots of toys and gets plenty of attention. I'd like to take him with me to friends' houses, but I'm afraid he'll do it there. 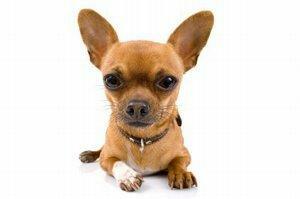 Chihuahuas are notorious house wetters, and they are very difficult to potty train. I speak from experience. There is a new product that I honestly haven't tried yet, but it doesn't look like it could cause any harm so maybe you ought to check it out. It's called a belly band. The belly band wraps around your male dog's torso and functions like a disposable diaper. The manufacturer recommends using them as a potty training aid. You're supposed to have your dog wear one in the house at all times and take it off when he goes outside so he can relieve himself in an appropriate place. If your dog tries to mark in the house while wearing the belly band, he'll only wet himself, and hopefully he'll find this sensation unpleasant. Give him a couple of minutes of discomfort to make your point, then change him into a new dry band. After a few weeks of this training, you're supposed to start leaving the band off in the house for short supervised periods. If your dog refrains from indoor marking, you can try leaving the band off for longer periods. Hopefully, there will come a day when you don't need the band at all. If you decide to try them, please let us all know how it goes. House wetting is a very common problem for many small dog owners and we're always looking for better solutions.